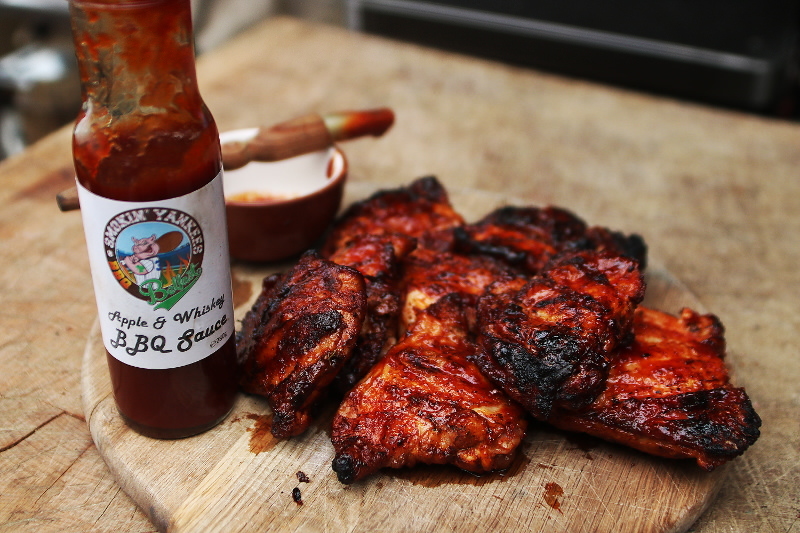 Apple & Whiskey are great friends for a lot of flavours, and in this Smokin’ Yankees Apple & Whiskey BBQ Sauce they certainly make for a wonderful naturally sweet, well thought out sauce. 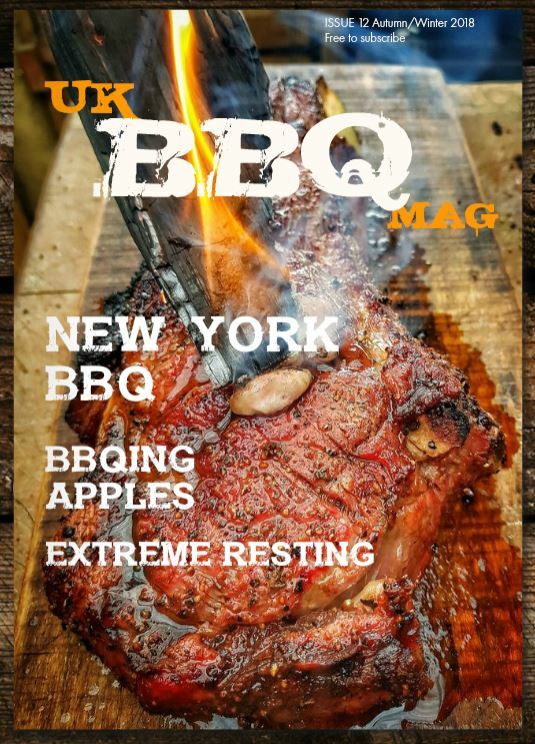 It’s really great seeing the BBQ scene developing in UK & Ireland, and there are some teams who are really getting their products out which is great to see. Unlike a lot of American sauces they are not too sweet, and it suits my palate perfectly. This sauce from Belfast based Smokin’ Yankees has been thoroughly enjoyed, the Whiskey is just a subtle backnote in this well balanced sauce. 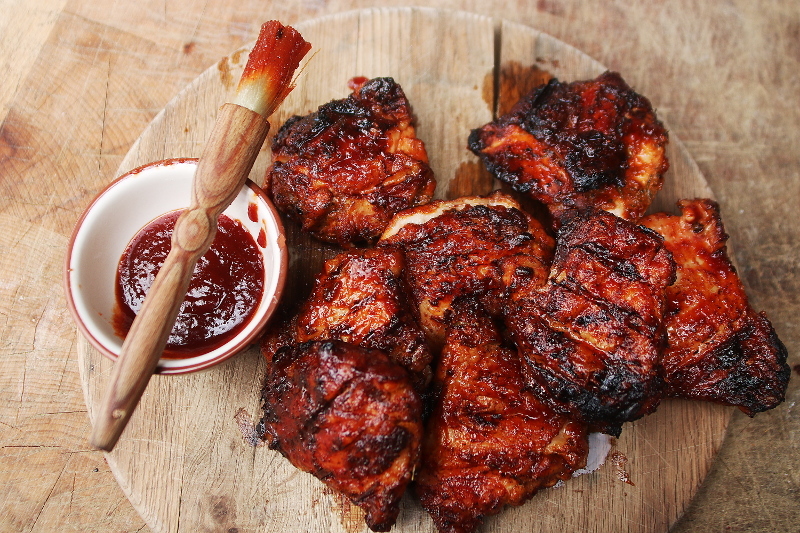 I love it on smoked crisp skinned chicken thighs that had a little BBQ rub on and smoked with a little cherry wood. It has some lovely depth of flavour too, and would work really nicely on some pork ribs. I picked up a couple of bottles from the guys at Q’fest recently, and have really been enjoying them since, head on over to the Smokin’ Yankees Twitter Page to get in touch or their Facebook Page for more info on how to get this crackingly good sauce.